In our last post on ICSE grading system feature by Fedena 3.3, we have discussed about the configuration that you need to do before you start using the feature. Once you’re done with the configuration, the next step requires you to enter the marks of students. 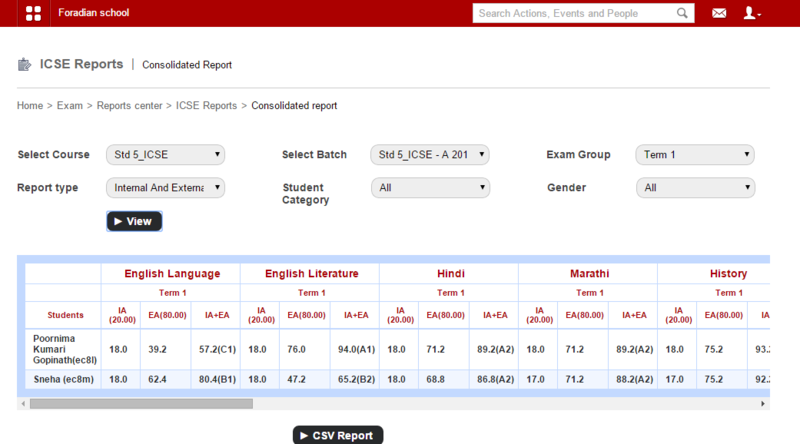 The feature also allows you to generate reports based on the marks of students. Read the article and find out more on generating ICSE reports. 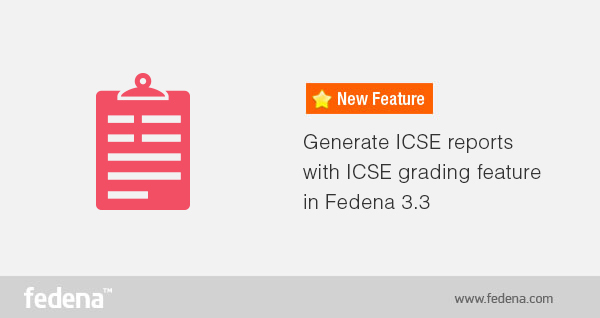 When you login to your Fedena account, you are required to go to ‘ICSE Reports’ in ‘Examination’. 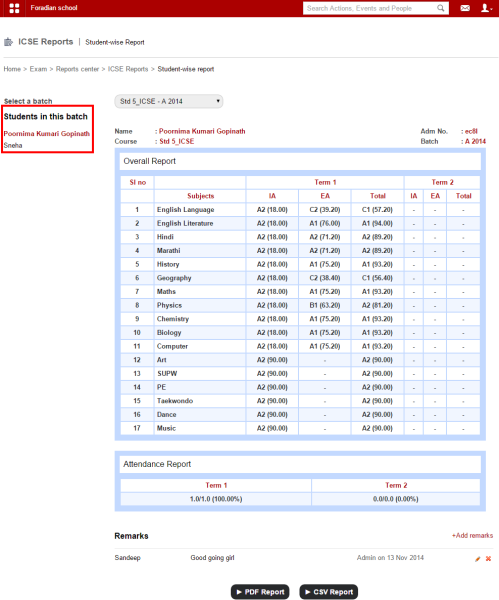 Generate Reports: You can generate a report on the student scores entered. Next, you need to select the particular course for which you want to generate the report. View Student Report: To view the report of particular students, you can use this option. It gives you the score card of students. As you can see, this is a report card of a particular student. Likewise, you select other students from ‘Students in this batch’ as marked in the screenshot. A ‘Term’ is used in most ICSE institutions under which the examinations are conducted. Most schools have two terms- Term 1 and Term 2 exams. Subject-wise Report: Similarly, you can also generate report of students based on subject. 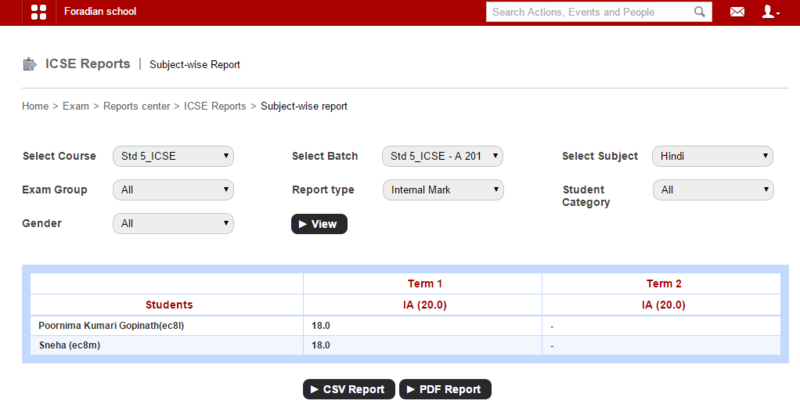 Consolidated Report: Get a consolidated report of all the subjects together for students. The consolidated report of students in the particular course and batch. Note: Generating report is highly flexible and it offers you the option to generate reports on multiple combinations in subject-wise and consolidated report. This means, you are allowed to generate reports based on terms, on internal marks alone or external marks or a combination of both, etc.